A big belly is an eventuality during middle age. 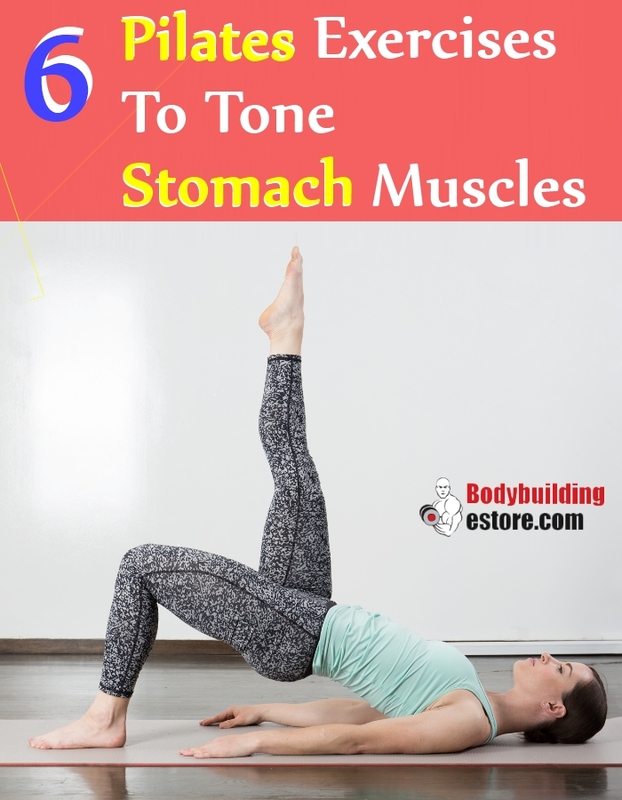 Hence, stomach-toning exercises actively help in whittling down the belly fat. An effective pilated workout is a good option when it comes to working the abdominal muscles that run down to the centre of the human body. For best efficient results, the belly should be flattened by pulling the navel toward the spine during every rep. It is recommended to do these Pilates exercises at least thrice a week. Individual should lie on their backs, raise the legs and point to the ceiling. Bend them at 90 degree; the thighs should go straight up in the air and the calves remain on the floor. The hands should be rested at an individual’s sides and the palms should be kept down. The abs should be contracted and also the lower back should be pressed on floor. Individuals should deeply inhale and then bring down their left leg for a 2 count (“down, down”), move away from the individual’s hip and the dips should move only from the hip and the toe dips should be towards the base and not allowing the toes to actually touch the floor. Then exhale and raise leg back into the initial position. This should be repeated with alternate leg and the alternating should continue until you do at least 2 sets of twelve on both legs. Individuals should lie on their back with their legs placed firmly on the floor. The left leg should be raised upwards and make sure your toes stay pointed or flexed pointing up. The hands should be placed at the person’s sides. Hold this position for about 20-60 seconds. Start making small rotations or circle that point upwards should be made with the toes rotating the leg from the hip. The individuals should inhale as they commence the circle and deeply exhale as they reach the end of the exercise routine. The body should be kept firm. The same should be repeated with the other leg, too. The start is similar to the toe dip but the hands should be behind the head of the individual and the elbows should be placed at the sides. The body should be curled up as your raise the head, along with both neck and shoulders from the floor. As the person inhales, the torso should be rotated to the right. Keep in mind that the alternate knee and the shoulder move towards each other, and the left leg should be extended upwards to create a diagonal line from the hips. As the inhaling is done, the torso should be rotated to the right. When doing so keep in mind that your alternate knee and shoulder should be bought closer to each other (in this case right knee and left shoulder) and the left leg should be extended, pointing upwards forming a diagonal shape from the hips. During exhalation, the body should be rotated to the left, and the left knee should be brought toward the right shoulder and the right leg should be extended. The person should lie on the left side. Keep both the legs straight and placed firmly together so that the body is in the form of one single line. The individual should be propped himself using the elbow along with your forearm of your left side, the ribs should be raised off the floor and the head should look at the ceiling. The right hand should be placed on the floor for balance. The head should be raised along with the shoulders and the chest should remain off from the mat. The upper body should be rotated, again towards the center, and then lower. This should be repeated to the left side and the alternating should continue till 6 rotations are complete. The first thing you have to is sit on your hip of the left side. Your left leg should bend as you go forward and the left hand should stay under the shoulder. The right foot should be placed flatly on the floor and the right knee should point toward the ceiling. The right arm should be rested on the right knee.